This entry was posted in Ham Radio, New Products, News, Portable Radio, Shortwave Radio and tagged CommRadio, CommRadio CTX-10, CTX-10, Universal Radio on October 14, 2016 by Thomas. It sounds great. 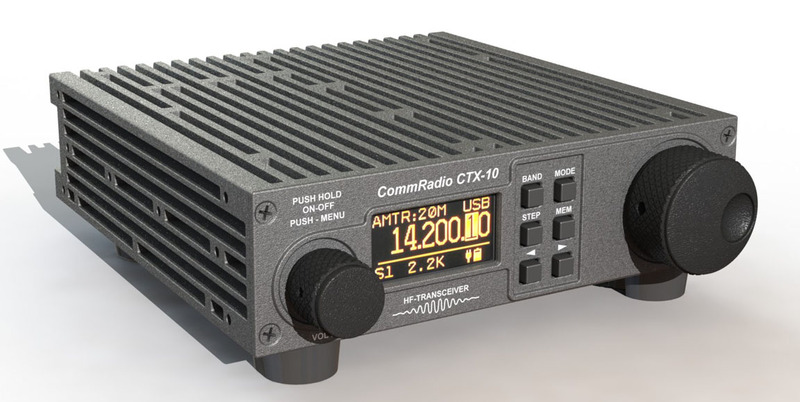 The CommRadio CTX-10 has so many strong functions. Hope the receiver this time covers NDB/MF Ham band PROPERLY. The CR1a is a joke here. The way it looks it’s beautiful and rugged, a qrp operators dream come true. When’s this going to hit the market? Thomas, I currently use a YouKits TJ5A QRP rig for contests but it only starts at 40 meters. If this one comes to market and is competitively priced with the Yaesu FT-817ND then I am a customer, for sure.